An ancient evil is surfacing. It’s in Jake’s school, in his house… and his blood! If you didn’t know him well, you’d think Jake had it made. He’s the best player in the school soccer team, and a lot of the girls at school can’t help giving him admiring glances that even his green eyes and good looks can’t explain. All Jake wants, though, is to fit in and be a normal 17-year-old. But that’s not going to happen. For when the Therions come to collect their human harvest, the only people who could prevent them are Jake and Vicky Harris, a girl from his class who doesn’t even like him. One of the most compelling features of The Therions is that there are no safe places for Jake or Vicky to hide. School teachers, school friends: some are victims of the emerging evil, and some might be its perpetrators. As for Jake and his family… none of them are as innocent as he’d like to think. To celebrate the launch of ‘The Therions’, we’re giving away two copies of the book. All you need to do is share your scariest school or college experience in the comments for this post. Winner to be selected at random. Winners in US, UK, or Canada to receive paperback and eBook versions (Kindle or ePUB). Winners in other regions will win eBook edition only. Closing date midnight GMT-London on Friday 28th November. Good luck! This entry was posted in Uncategorized on November 24, 2014 by Tim C. Taylor. Jake thinks he’s just an ordinary schoolboy. Scraping a pass on his tests while doing the least amount of work, attracting admiring glances from girls, hanging with mates, and scoring goals for the soccer team: just ordinary things. But Jake is far from normal. And his family? His sister is missing, his father changed, and his brother dead… or so Jake thinks; the truth is far more shocking. When his school friends start to disappear, and with petite Vicky Harris the only person he can trust as his world collapses around him, it’s time for Jake to learn the truth. The Therions are out there. And they’re almost ready to reap their human harvest. 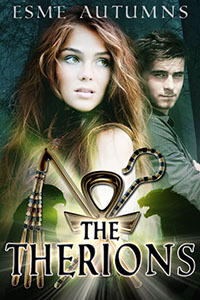 ‘The Therions’ will grip fans of YA paranormal adventures. The Kindle edition of The Therions is available now at a special launch price of 99c/ 77p. This entry was posted in Uncategorized on November 20, 2014 by Tim C. Taylor. 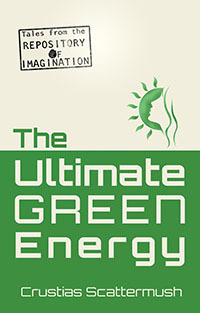 When the ultimate green energy was made available worldwide, it seemed too good to be true. Two young sisters set out to investigate the truth… and wish they hadn’t! 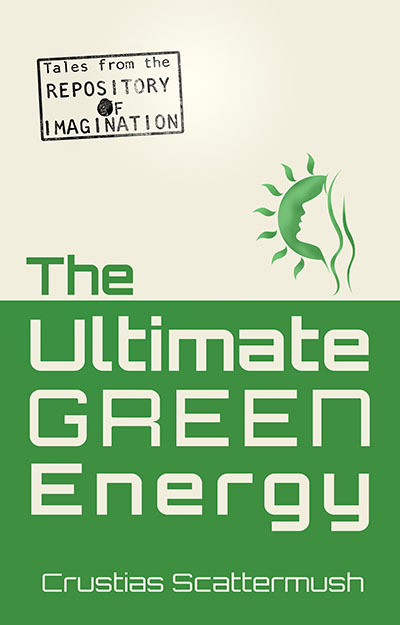 Today and tomorrow the Repository is giving away The Ultimate Green Energy free on Kindle (29th & 30th May, 2014). Read the title story and three other short stories. Aimed at 10-15 year olds. Inspired by classic 2000AD. When Alnial jumps out of his second-story bedroom window to join Zovonia and her friends for a night out, her heart skips a beat. Then he lands on his hoverboard and he’s goofing around, showing off in that way that’s so annoying, but kinda cute at the same time. Before the night is out, teenage pranks and running curfew are things that Zovonia and Alnial must leave behind forever. When the new dawn breaks on their world, they must stick close together if they are to have any hope of surviving. The daughter of the poor toymaker used to dream when she was a little girl that one day she would marry a prince, and that she and her father would never go hungry again. Many little girls dream of something similar, but for the toymaker’s daughter that dream is about to come true. Today is her wedding day. The prince is there waiting for her at the aisle. The queen and members of the court are there too. Everything’s perfect… until the arrival of the slavering zombies, the ninja nuns and the lord of the dark dimension. Today is her wedding day. Today the toymaker’s daughter must make a choice that will affect everyone. When his father dies unexpectedly, teenage Prince Idirian becomes King Idirian before he (or his mother) think he is ready. Ready or not, he has plans for the Kingdom of Ossiria. What he doesn’t reckon on is that Ossira has plans for him. At his coronation feast, Idirian is soon in a fight for his life, and the future of his people. The situation looks hopeless. Will Idirian go down in history as the One-Day King? Wizards’ Kingdom: last day to download for free! 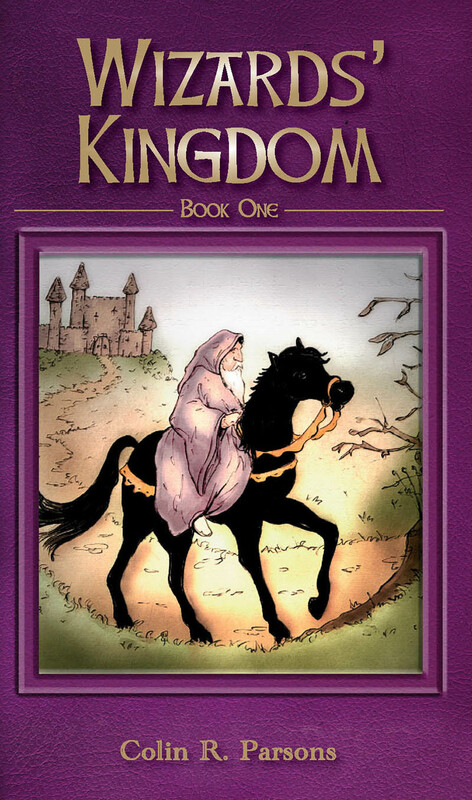 While you’re at it, join the many others downloading the first Wizards’ Kingdom book, also for free on Kindle. Today is the last day. 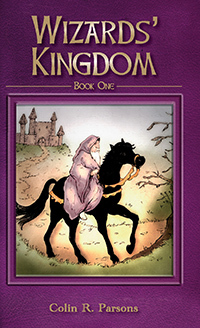 Wizards’ Kingdom is a classic fantasy adventure for readers aged 8-80. If you enjoyed The Hobbit, and are missing Harry Potter, you will love Wizards’ Kingdom. Follow this link to download Wizards’ Kingdom. Free for today only. This entry was posted in free kindle book on May 29, 2014 by Tim C. Taylor. 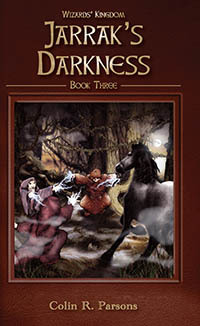 Lovers of fantasy books such as The Hobbit and the Harry Potter series will thrill to the Wizards’ Kingdom series by Colin R. Parsons. 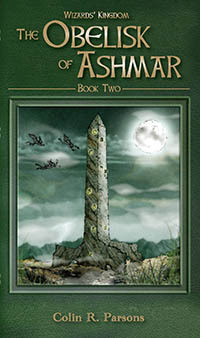 So if you’re caught in the doldrums between The Desolation of Smaug and the final Hobbit film, or if it feels a long time since Harry Potter and the Deathly Hallows Part2 was released in the movies (it was: 2011 it came out) then try Wizards’ Kingdom: fun, traditional fantasy for readers from 8 to 80. This entry was posted in free kindle book and tagged free kindle children's book, hobbit, magic, middle grade, Wizards on May 27, 2014 by Tim C. Taylor. Fans of Colin’s book Crank Tech One: Destruction, will be delighted to hear that Colin is giving away a Christmas present. 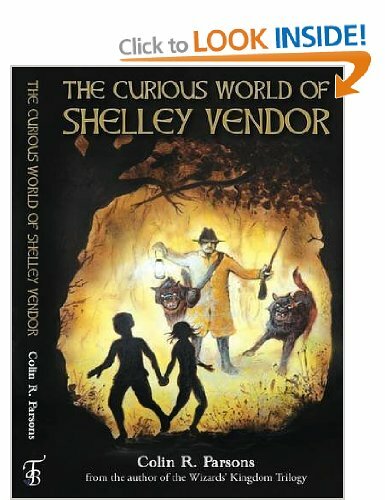 From now until December 13th 2013, you can go to the Amazon Kindle store and pick up a free copy the first of a two-part fantasy series: The Curious World Of Shelley Vendor. 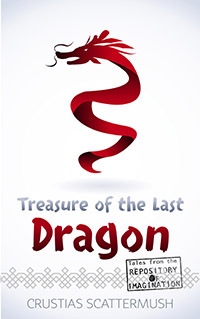 This entry was posted in Free Story and tagged colin r parsons, free kindle, free YA kindle, ya fantasy on December 10, 2013 by Tim C. Taylor. The concluding part to our tale of a divided world. If you missed part one, no worry: you can read that by following this link. Suspended in the traditional way from the backs of four huge spinosaurs, the imperial platform lumbered around the corner and into Nibboloth Plaza, where the cheers of the crowd rose to a new crescendo. The imperial procession had been hurriedly arranged to give the Emperor a chance to show off his new clothes. Luckily, the twelfth anniversary of his ascension to the imperial throne was soon, and if anyone thought it strange that the Emperor had suddenly decided to start celebrating that date, they were too sensible to mention that dangerous opinion. In fact, the procession was going so well that the Emperor managed to almost forget his sea sickness, and the knowledge that his clothes were at best hideous (he wished the cloth would settle on a single color, rather than cycle through all the worst possibilities); and at worst, his clothes were invisible. Perhaps he should do this procession thing more often? Yellow and blue banners festooned the route, flapping in the cooling breeze; the fanfares of welcome were sounded by the finest musicians in each city district as the procession crossed the boundary from one district to the next — all these things were in honor of the most powerful man in the world. And so he was, but the Emperor still felt compelled to sit on a throne lashed onto the back of a raft carried by huge reptiles with no more sophisticated suspension than bands of well-oiled leather. Tradition demanded he do so. “Look, Father!” His younger daughter pointed to the Temple of the First Coming of Nibboloth at the center of the plaza. Young male acolytes, wearing loin cloths in imperial yellow and blue, were bungee jumping off the brass dome that topped the temple. “Isn’t that dangerous?” asked the Empress. “At least they’re making use of the dome,” said the Emperor’s older daughter. The Emperor’s left head laughed at that. The Temple of Nibboloth had been awaiting the god’s first coming for over a thousand years. The brass dome was perfectly tuned — and was retuned every other Sunday — to be rung when Nibboloth finally put in an appearance. Right Head shushed Left, but he was grateful to have something to joke about. The Emperor loved all the public adoration, but Right Head still felt uncomfortable with the knowledge that to some in the crowd, his new clothes were invisible. Underneath his loose-fitting robes, the easy palace life had made his tummy grow larger than he would like. Still, at least his belly covered up those bits he was least eager to have on display. But his nakedness was all in a good cause. The Emperor started waving to the crowd, which brought a great boost to the cheers. Flitting silently, like an infestation of insects in stealth mode, fist-sized hoverbots darted through the crowd, ever alert, seeing everything, reporting anyone who appeared shocked by the emperor’s clothes… or lack of them! Instead of observing the procession, Right Head was staring straight at Dad, at the look of horror on both his faces. Hoverbots began to crowd in, little black spheres stuffed with cameras. Suzia’s right head whispered Dad’s instruction to her left head. Left promptly swung her attention round to her father. The weight of his unhappiness pushed down so hard he seemed on the verge of toppling over. Theria giggled — both heads at the same time. “There’s nothing to laugh at,” Suzia’s left head hissed at Theria. “Course there is,” her younger sister’s left head replied. Suzia turned both heads to stare at the Emperor. There he was, flanked by his two daughters and his empress, sitting uncomfortably on his carved wooden throne… completely naked! Not a thread. Not even a stitch. “Hey! We can hear you!” came a shout from above. “The little girl’s right,” someone shouted from nearby in the crowd. “But that’s the Emperor you’re talking about,” answered another voice. Suzia could sense the crowd tense. Everyone but Theria shut up. The tension had wound the people up as tightly as a spring. That spring had to release, and it could have come out as panic. A few people could have started to slink away, scared they would be arrested if they stayed. Then, frightened that they would be the ones left behind, everyone else would stampede to get away. The crush would be horrendous. People would get hurt. But that didn’t happen. The spring stayed wound for a few moments longer. Putrid green. Shocking pink. Electric blue with snot green zigzags… The Emperor’s robes lit up in such a ludicrous series of patterns that the crowd couldn’t help itself. After an awkward, long silence when the only sounds were Theria screeching with mirth, and the soft hum of the hoverbots, the crowd erupted into laughter. Within seconds, what had begun as a nervous release, grew into full-on, belly-clutching, side-splitting, tears-running-down-cheeks, trying-not-to-wet-yourself laughs — the kind that fed on itself and could not stop. Both of Suzia’s heads looked through the cheering, chortling crowd, scanning the reactions. And if some of those people were laughing at whatever it was that Theria was seeing, and if others were laughing because the Emperor looked completely naked, then no one could tell the difference. Suzia grabbed a passing hoverbot and kissed it. Chancellor Ireton escorted the Aphidian tailor back to the imperial throne room. The Emperor waved his encouragement. The procession had been a spectacular success, though the Emperor had made it very clear to his personal servant that morning that he was to wear his old clothes from now on. “You have done well, tailor,” said the Emperor’s right head. He could not, of course, reliably interpret alien body language, but he thought the creature acted pleasantly surprised, as if he were accustomed to his special clothing being a failure. The Emperor thought a moment, trying to work out what the chancellor was babbling on about. But he knew without a doubt that what she had said was true: the chancellor was indeed ruthless. “Go on,” he said. Chancellor Ireton smiled elegantly. The Emperor knew Ireton was tough with his enemies, but what he didn’t realize was that she was even better at telling him what he wanted to hear. If it came to a choice between doing what was in her master’s best interests, and telling him something that would make her popular in his eyes — well, that was no choice at all! “Really, Your Majesty?” Ireton had a warm feeling too — one of relief. The Emperor’s chancellors never lasted long. Perhaps she wouldn’t need to use that emergency off-world escape plan just yet. The Chancellor bowed so low her heads nearly touched the ground. The Emperor whistled with both heads. That was a lot! “Who could have imagined that so many ran wild in the underbelly of the imperial capital?” said Ireton. “But never again will the left-headers be such a threat, thanks to the magical cloth of our green Aphidian friend.” She gestured toward the alien, eager to shift the Emperor’s attention onto someone else. The Emperor nodded agreement. “Yes, indeed, Ireton. The people love me and the left-headers are being arrested in droves.” He gave out a happy sigh. “Well done, my green friend,” he told the tailor. The alien — the smelly green alien, if the Emperor was honest — was so taken by this praise, that he danced a jog on his spindly hind legs, giving off a scent of old woodsmoke and rotten grass cuttings. The Emperor imagined he could actually smell words coming off the tailor. Finally, it seemed to say. It worked! You might have heard similar stories from your own planet. The tailors’ special clothing usually yields disastrous results, and yet the Aphidians are fantastically (not to mention annoyingly) rich. So if their clothing normally brings disaster, where does their wealth come from? We simply do not know the answers to this question. If you know of a tale to enlighten us, please come into our nearest Repository branch and swap it for one of our stories in our A Tale for a Tale program. Though we can’t be sure whether this story is true, the rivalry between left- and right-headed people on Mermos-37 sadly is all too true… or rather it was. The madness of purity afflicts most species in the early stage of their development, but most grow beyond it when they move from their home worlds to encounter the vast diversity of the galaxy. In this case, the left-headers died out within a dozen generations of our story. You might think that with the left-headers no longer there, the right-headers would no longer feel threatened. But the problem with a purity-obsession is always the same — the criteria for purity grows narrower and narrower until almost everyone is classified as one of the impure. The right-headers turned their fear and hatred on themselves. But this two-headed race did not quite die out. No, no, their fate is far worse. 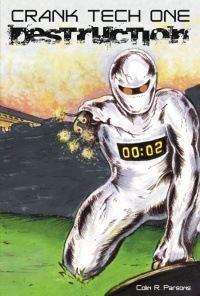 Made immortal by anti-ageing nanobots, and indestructible by armored robotic exoskeletons built from exotic metals mined from white dwarf stars, what was once a vibrant race has been reduced to two individuals, each trying to purge the other from existence for the sin of impurity. These two have been hammering away at each other for the 78,000 years since we recorded this story sphere. We suspect this is only the start of their battle. 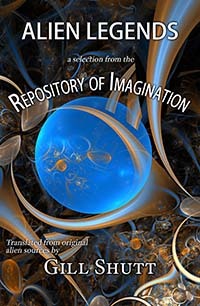 The Repository of Imagination has entranced sentient life-forms throughout the galaxy for tens of thousands of years, thrilling and informing its users in equal measure. 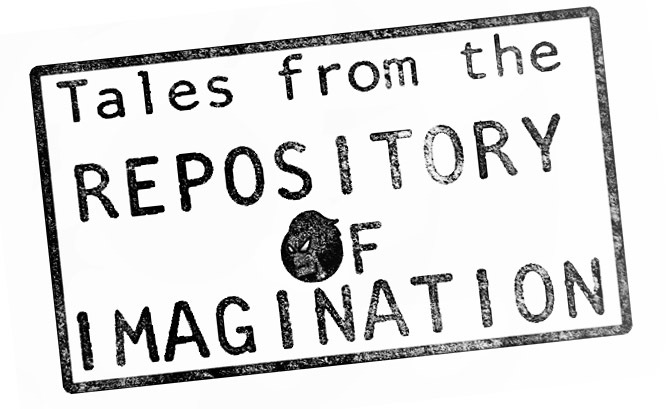 Now, for the first time, Earth dwellers can not only purchase story spheres [available for SensoDrama-5D and compatible immersion systems; prices start at 2,500 Galactic Currency Units] but the Repository has launched a story acquisition service on planet Earth. 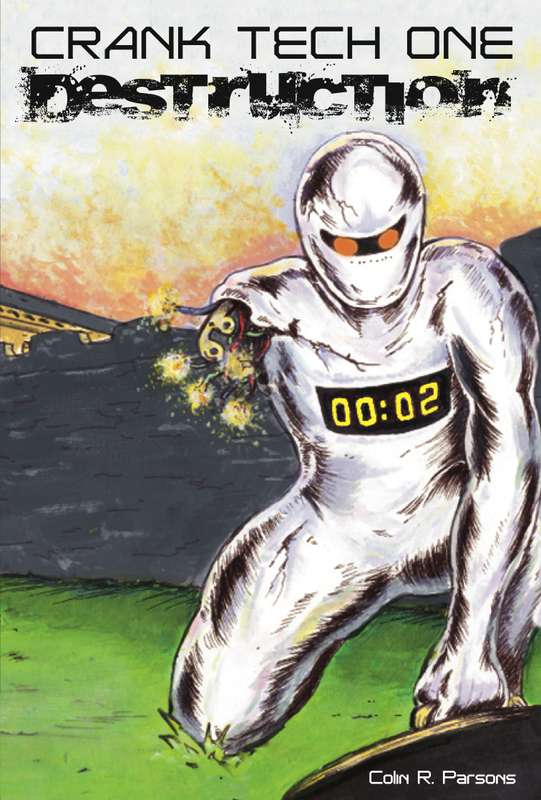 Humans can now swap A Tale for a Tale GTM using the Earth Internet. Send us your short tales of imagination – they could feature humans or aliens, and could be about magical realms as well as other planets – and we could publish them on our Earth-branch website… and send you a tale back in return*. *Tales supplied by The Repository under this offer are only available in primitive human eBook formats, such as Kindle, Nook, Kobo, or PDF. 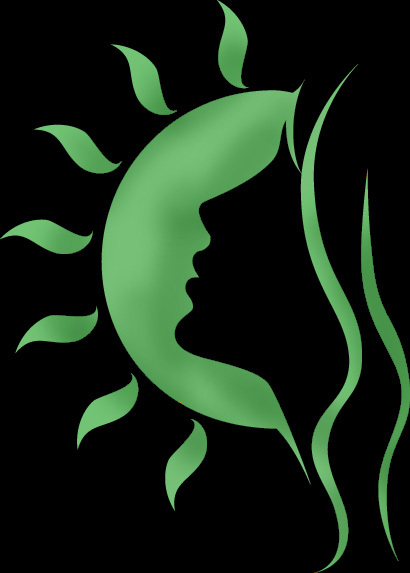 The Repository of Information and ‘A Tale for a Tale’ slogan are Galactic Trademarks, and protected by interstellar legislation. Follow this link for further details. This entry was posted in Uncategorized and tagged aliens, children's fiction, free story, the emperor's new clothes, YA book, ya fiction, YA science fiction on March 8, 2013 by Tim C. Taylor.